Mold—just the word itself often causes anxiety in homeowners. A large, visible mold problem is bad enough, but mold may also hide under appliances and even within walls, making it far more difficult to discover. If you suspect that you have a mold problem, it’s a good idea to request a professional mold inspection. We’ve listed some of the warning signs below so that you can act early if you suspect that you have toxic mold in your home. Do your allergies get worse when you’re at home and improve when you leave the house? This could be a sign that there’s mold inside. Similarly, if you have asthma and you notice that your symptoms increase at home, it’s probably time to call a mold certified inspector. Other possible symptoms of mold exposure include itchy skin, a runny or stuffed nose, irritated eyes, sneezing, coughing, a sore throat, and more. Many of these signs can go unnoticed because they resemble symptoms of the common cold or the flu, but follow this rule of thumb: if it gets worse when you’re in your house, apartment, or condo, mold should be considered as a potential culprit. Sometimes, smelling something pungent or musty with no visible offender is the only sign that mold has found its way into your home. And if the smell worsens while your AC or heat is on, then it’s possible that mold has infiltrated your air conditioner or your heat pump. Of course, if you see mold, then you know it’s a problem. The problem is that tiny dots of mold may simply look like dirt. Keep in mind that even the smallest amount of mold in your home can be quick to spread. Mold also might not look like what you think it does—sometimes it’s nearly white and looks like thread rather than dark spots, and it can be orange, purple, and even pink at times. 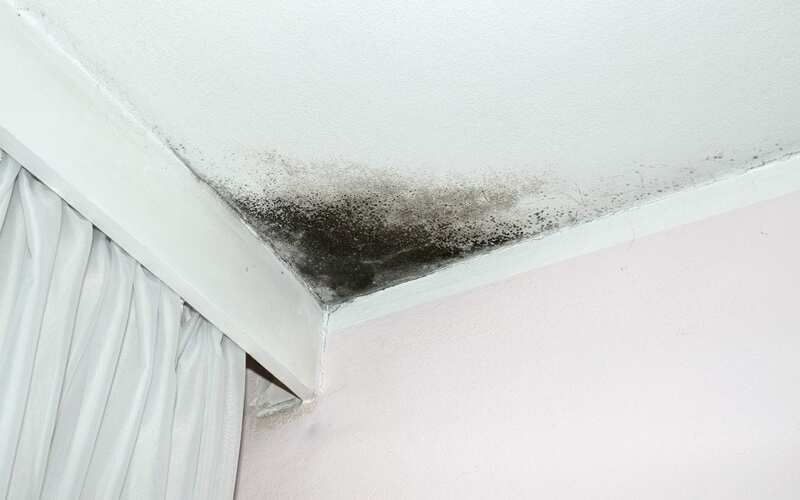 If parts of your home have ever flooded after a heavy rain or your roof has leaked, there’s a very strong chance that you have a mold problem. The longer the area was wet, the more likely it is that mold began to grow. This means that your previously flooded basement probably has a mold problem, or that mold could be lurking beneath your floors or behind your walls. Even less severe water issues can cause mold to take root; beware of discoloration or water stains on your ceiling, walls, and floors, as well as warping walls and peeling paint and wallpaper. AAA Home Inspections offers mold testing and remediation in addition to a variety of home inspection services in Central New Jersey. Contact us to book your appointment!